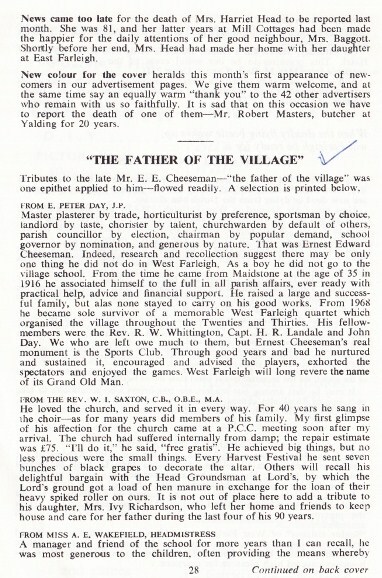 We were delighted to hear from Brenda Field (nee Richardson) about her grandfather Ernest Cheeseman, who moved to the village in 1917 and remained here until his death in 1972. 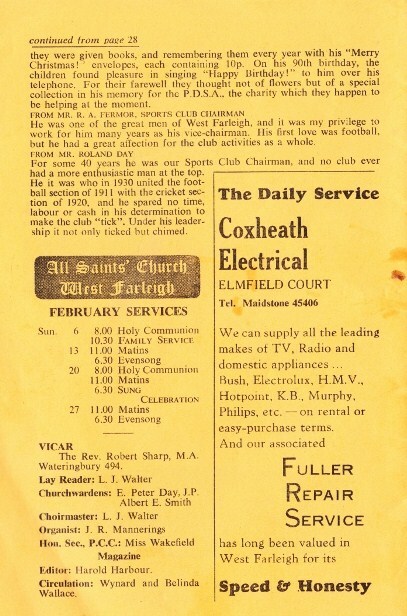 Click here for Brenda's reminiscences, or here and here to read his obituary in Lifeline (from which it is clear that Ernest Cheeseman was a loved and revered local figure, 'the father of the village.' There is an especially poignant tribute from E. Peter Day. 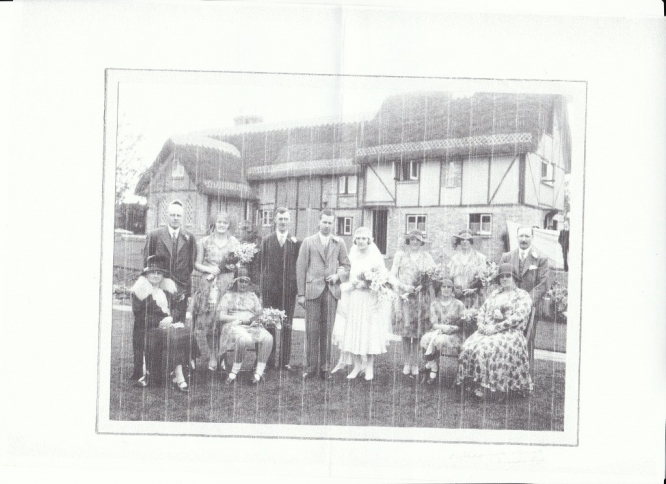 Picture below: Ernest and Susan Cheeseman (far right) at the marriage of their daughter Beryl. to our monthly (well more or less) chatty "what's new" letter here.